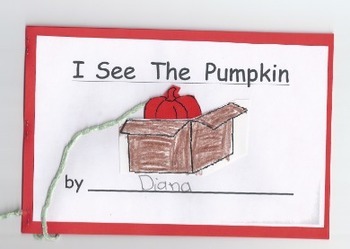 Teach positional words to young students with this great pumpkin/autumn/Halloween themed book. Students color the book, read the words, then use their adorable pumpkin manipulative to learn positional words. 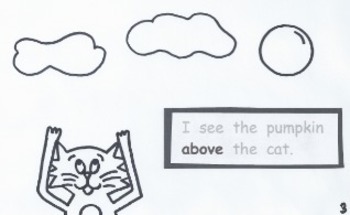 Kids absolutely love this interactive book! 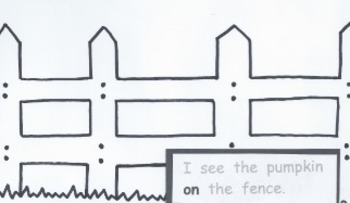 They place their pumpkin in a box, on a fence, and more. Includes: assembly instructions, 5 coloring/reading pages, cover, pumpkin cut-outs, box cut-outs. All illustrations were drawn by me.